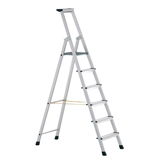 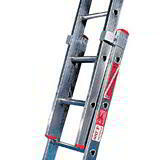 Ladders are a necessity in the workplace when required to get to, or work safely in high places. 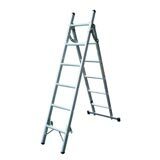 Our range of aluminium ladders have been perfectly designed for complete safety and comfort when doing this. 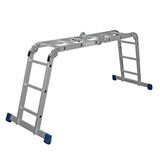 We have award-winning telescopic ladders that measure just 74cm long when unextended and can easily be carried under your arm before extending to a massive 3.8m long. 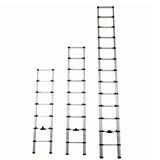 You could bring a whole new dimension to your work with one of our combination ladders - the 4 way ladder can be used as an extension ladder, step ladder, double sided ladder or as scaffolding. 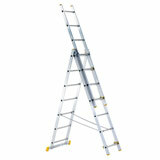 And then there's our universal, multi purpose ladder which can be set up into thirteen different positions.